As mentioned in a previous post, having a clear naming convention for unit test methods is important to keep tests readable and maintainable. Sticking to the convention might be difficult at first and require some discipline but is definitely worth it in the long run. The resulting code is displayed at the top of this post. The snippets use three placeholders (marked in yellow) which make up the method name using the suggested convention. In addition I’ve added Arrange, Act, Assert comments in order to help structuring the test. 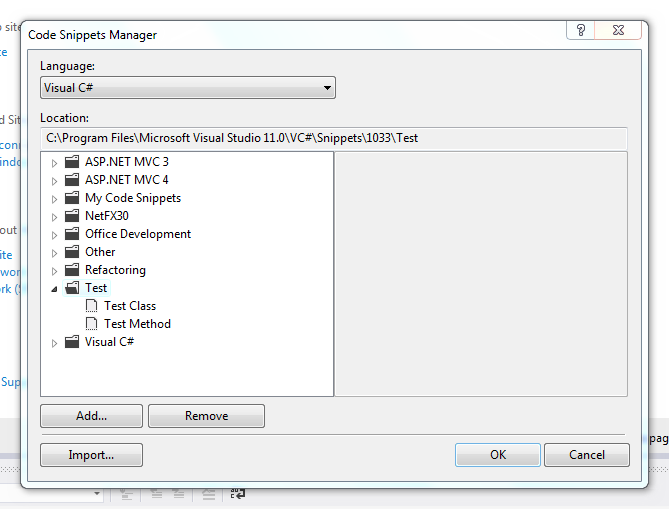 Once you’ve downloaded the snippet(s) open Visual Studio and go to Tools > Code Snippets Manager. 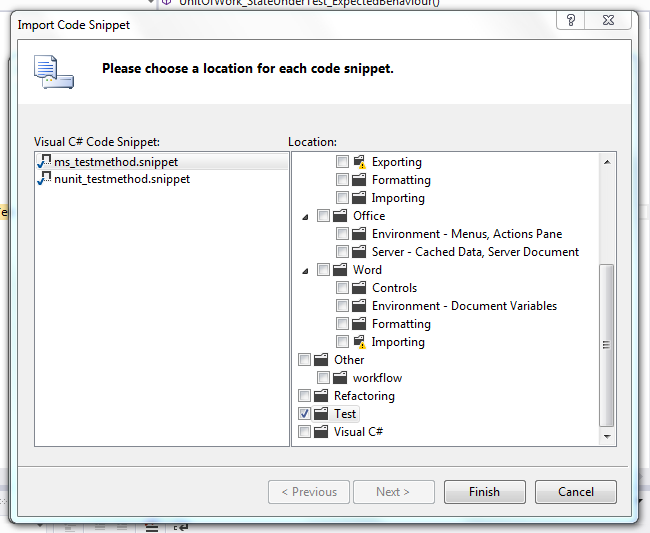 Click the Import… button, select the downloaded snippets and click Open. 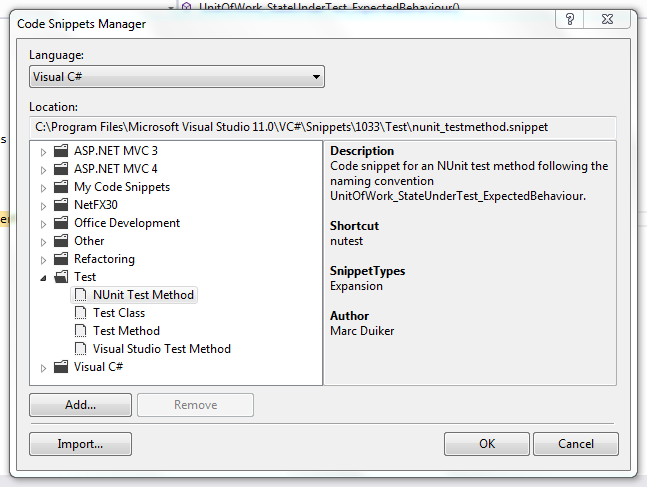 Then select the location to store the snippets (the Test folder seems obvious ;). Click Finish and the snippets are ready to be used. To verify that they are installed or to find out which shortcut they use open the Code Snippets Manager and select the snippet. Reducing some boiler plate coding is always a good thing and I hope you’ll find these snippets convenient. P.S. Feel free to edit the snippets in order to change the shortcut or alter the code. They’re just XML files and there is some MSDN documentation you can work with.